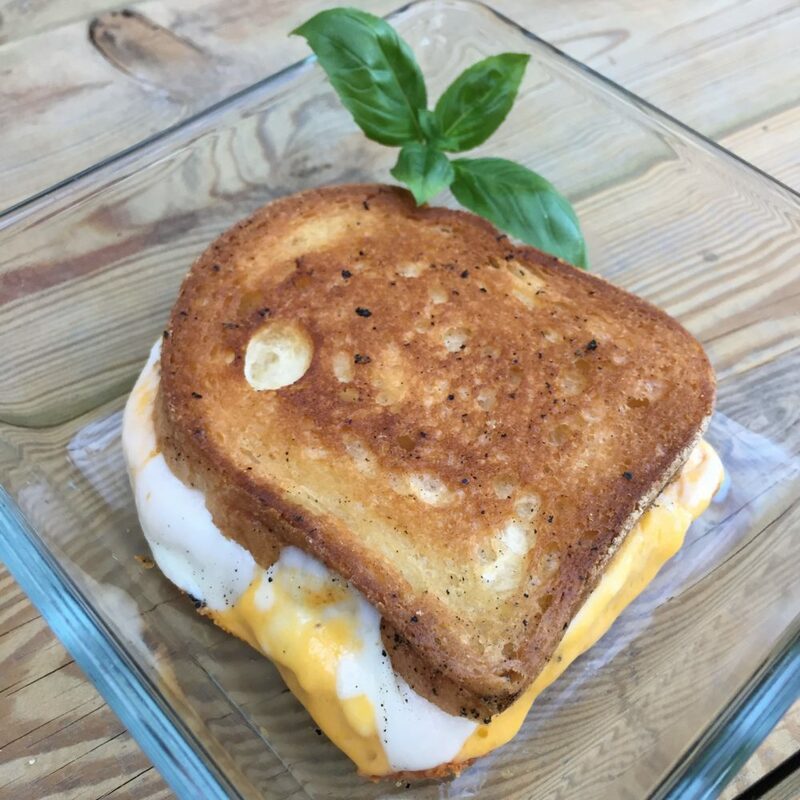 The Brits call it „Cheese Toasty“ and the Americans call it „Grilled Cheese“, but I just call it what it is: A gluten free double cheese sandwich. You don’t need a sandwich toaster for this, nor a contact grill. But you could use them if you have them. If you don’t just preheat your oven to 150°C. Toast the bread, put very little butter on both slices of bread. Season the buttered bread with pepper, put one slice of goat cheese on it, then the cheddar, then another slice of goat cheese, then the next slice of bread. Put the bread in a baking dish and bake in for 8 minutes until the bread is golden brown and the cheese has melted.